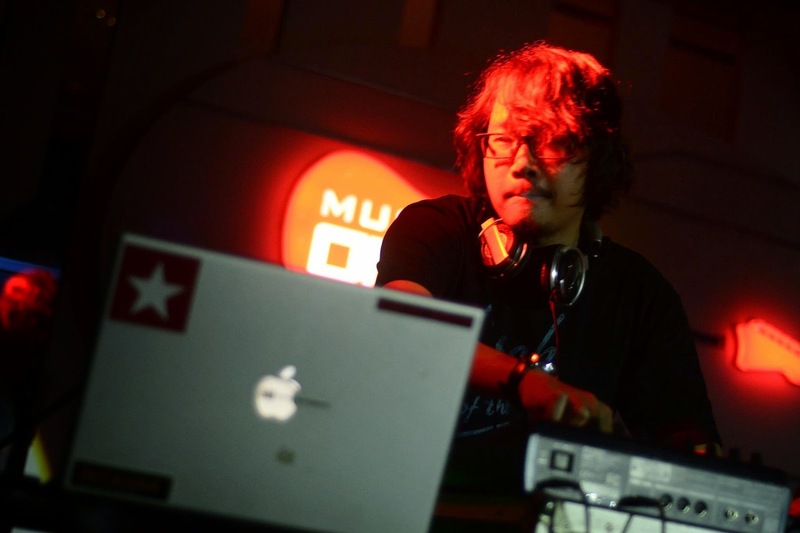 Bass music sounds unpopular among Indonesian electronic music except what we call it "dubstep" and "drum and bass" which both recently got its popularity in most of big cities. And here in Borneo, there are some producers who produce this kind of music. In west borneo, Pontianak city has a local Dj who collaborate Dayak ethnic music with another electronic music such bass music. We are going to discuss about hist project and another stuff in producing and performing his sets. One quick fact, this guy was one of finalist for MTV Lenovo Collab Project in 2003. Q :Alright, could you introduce yourself and also your involvement in electronic music? L : My stage name is elnoise atau DJLV on Soundcloud and my real name it still related. Levi Nawawi ; you can find me on Reverbnation and Youtube. I've started in music producing in 2004 when I've worked as audio editor in Yogyakarta. I was active working for my bands as producer. I was curiously of Rave/Electronic/Breakbeat artiss like "Mobil Derek", "Media Distorsi", "Dj Theory", and "Electroflux" (All local Bands). Prodigy, Fatboyslim, Chemical Brothers and The Crystal Method. My worklflow was experimenting by combining various DAW such FL, Reason and Cubase and later developing into DNB, Dub, and Jungle by using analog hardwares like Electribe, Groove Box, Analog Sampler and Kaoss Family, Roland MC, Drum Machine. Q : Well,how you can desribe your own music and what are your biggest influence. L : I can say my own music can be called chill-out-ish meets dnb and experimental like Telefon Tel Aviv, Amon Tobin, edit, and Chemical Brothers. I was playing electronic music before this "dubstep era". Lately, I am going into deep discovery of DNB electronic sub-genre like Jungle, filthy drum and bass, drumstep, neurofunk, techstep and DNB such Noisia, Spor, Reso, Audio UK, Black Sun Empire, DJ Starscream, Shitmat, Technical itch, Cooh, Limewax, London Electricity, General Malice, Bassnectar, AMC, Pendulum, DJ hazard, Bongra and etc. .
Q : Besides audio-producing, what are you other works? L : Photography, I am still active in photography since 2006, taking a lot of landscape, human interest, black and white, street snapshot pictures aside of commercial photography that I am currently right on. The rest, I am still work in audio-related like taking part as a guitarist in my band and produce handmade audio wood custom..
Q : How many tracks did you produce? L : I cant recall how many tracks I've produced. There were ranging from any kind of electronic music and mostly there are remix tracks. Q : Besides of producing, What do you think about live-performance and DJing? You are already have some gigs. L : I can say it live-performanceits important after producing its really important. I usually DJ with laptop and launcher controller with effext. Sometimes use CDJ and mixer. For live performance, I combine laptop, midi controller, mixer and CDJ. But sometimes, I got used to play with analog gears that was so complicated due wires and unportable. Q : What do you think about bass music? In one of your track, you collaborate with Dayak traditional artist to fuse with electronic music, how is that happen? L : I think its underground culture and then evolves into a movement which the root is from DnB since 80s and it doenst stop evolving into new different form such dubstep, twosteps, neurofunk dan liquid drum and bass. There are already scenes in Indonesia cities like Jakarta, Bandung and Bali with many local events and gigs that gives a chance for bass music to widely know between electronic music fans. Q : How is your thought about Indonesia and Kalimantan music scene, pop and EDM? L : For West Borneo, pop is popular. But there are many indie bands with their own genre. And I am not really interested with EDM, I have nothing to say about it. Q : What is your biggest goal? Maybe releasing an album or have a live performance in particular place? L : My biggest goal is able to perform live in a beach outdoor. like Pasir Panjang beach if in West Borneo or Ancol Beach if its in Jakarta like what Fatboy Slim did. For album, I dont intend to make it but I prefer to produce mixtapes or singles. Q : What do you think what are elements to have for music producers? 1. Idea. A producer and DJ should have insane idea, sick and anomali so that his/her work is something we call "cutting edge"
2. Diligently exploring and innovatively creative because electronic music need many factors like midi-controller and never-ending DAW's update. 4. Self confidence when performing, this is pretty basic if you're a dj / producer who want to show you audio works in front of many different people. Q : Which one do you prefer? Software (Vsti) atau Hardware? L : Iprefer hardware because we can explore more complex features with its limitation. for example when we produce dubstep in "Electribe" and "Groove Box". We will not always get what we want, but the process it takes time and we need to record it analog. And I think that is the artform in my opinion. But if you need efficiency, you absolutely need DAW's. Q : What is you memorable experiences in this field? L : I've played in Ahmad Dhani cafe in SOR by playing dubstep and dnb with great crowd who enjoyed the music together because their curiousity . Q : What are you planning besides audio producing? L : I plan to have my own photoghraphy web this year using paid web service for showcase. 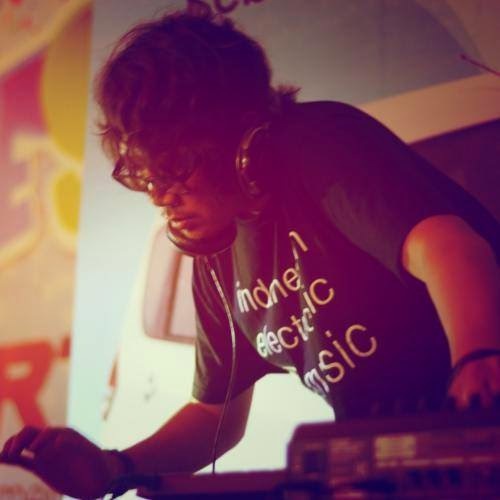 Q : What do you think about local electronic music in West Borneo? L : Currently its rising and there are some gigs were created eventhough there are not many audiences except for residental clubs. Q : Last, recommend us 5 tracks (random) that is everlast for you?